Zoomcar Exclusive Offer. 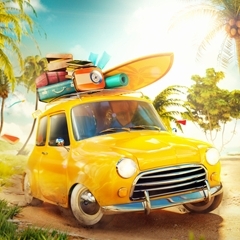 Save Flat Rs.600 On Zoom Car Rental Bookings. Offer Applicable On Monday To Friday Booking. Offer Application On All Cars. Offer Valid On Minimum Booking Of 48 Hrs. Offer Valid For Zoomcar New Users Only. Offer Not Valid On Blackout Days. Offer Valid In The Major Cities In India Like Coimbator, Dehradun, Hubli, Hyderabad, Jaipur, Delhi, Bangalore, Pune, Vizag, Chennai, Jodhpur, Kolkata, Kota, Mangalore, Madurai, Mumbai And Many More. 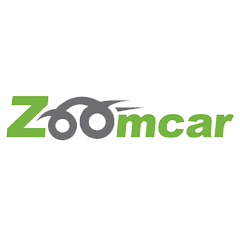 Use Given Zoomcar Coupon Code At Time Of Checkout. Book Zoomcar Car Rental Self Drive Car In India Drive An Audi Q3 Starting At Rs.240/Hr. Offer Valid For All Zoomcar Users. Offer Valid In The All Cities Across India Like Mumbai, Delhi, Chennai, Pune, Bangalore And Many More. Offer Valid For Limited Time Only. No Zoomcar Discount Coupon Code Required At Time Of Checkout. Zoomcar Offers - Book A Zoomcar On This Diwali And Get Flat Rs.1000 Off On Car Rental. Offer Applicable On Monday To Thursday Bookings. Offer Applicable On all Car Bookings. Minimum Booking Rs.7000 Required To Grab This Offer. Offer Applicable Only For Zoomcar First Time User. Offer Not Valid On BMW And Mercedes. Offer Not Applicable On Blackout Days. Use Given Zoomcar Coupons At Time Of Booking Self Drive Cars From Zoomcar. Zoomcar India Offers Rent Ford Figo Starting At Rs.70/Hr. Offer Valid For All Users. Offer Valid For Limited Time Only. No Minimum Booking Amount Required. No Zoomcar Coupons Required At Time Of Booking. Zoomcar India Offers Lowest Car Rental On Self Drive Cars In India. Book Any Zoomcar And Pay Lowest Rate Rs.65 Per Hour. Offer Valid On Selected Cars. Offer Valid For All Users. Offer Valid For Limited Time ONly. No Minimum Booking Amount Required. Offer Valid On All Cities In India. No Zoomcar Discount Coupons Required At Time Of Car booking. Zoomcar Offers On Baleno Cars. Drive The All New Baleno At Rs.85/Hr. Offer Valid For All Users Across India. Offer Valid For Limited Time Only. No Minimum Booking Amount Required To Grab This Zoomcar Deal. No Zoomcar Discount Codes Required At Time Of Checkout.